Goodbye Draino, Hello CCTV Surveys! A blocked drain is a nuisance on any day of the week – but there are certain types of drain blockages which tend to be more significant than others, and those which occur in public places have the ability to cause major traffic problems, major damage and just general mayhem – and need to be fixed quickly with minimal damage and down time to surrounding areas. With the heavy rain flow in some areas lately it’s quite easy to understand how drains can become easily blocked, and how without the appropriate treatment they can cause major problems on the roads. Leaves, tree branches, litter and various other elements can become easily trapped in small drain pipes, causing the water to bubble back up and onto the road in no time. In turn this can cause flooding and potentially hazardous road conditions. I know how frustrating it is when you are trying to unblock something but you can’t find the blockage itself – take for example a vacuum cleaner which won’t work properly. You know there’s something stuck in there but you can’t quite figure out where it is, you end up having to take the entire vacuum cleaner apart before you can identify where the problem has come from. The same could be said about a drainage system – but the problem here is that taking the entire network apart can be an incredibly time-consuming and troublesome process, something which can cause major disruption and even has the potential to cause further damage. A popular option within the drain unblocking industry, CCTV surveys help to cut down the time and risk involved with unblocking drains. An incredibly effective tool for dealing with blocked drains, CCTV surveys are able to provide an accurate description of any blockage and with an in-built GPS system they allow us to pinpoint the exact location of the problem. By providing us with this information, they are able to allow us to work directly with the area where there is a problem, without it affecting any of the related areas. This helps to minimise downtime and damage to associated areas, and also ensures that the drain is fixed as quickly as possible. By using a CCTV survey you are able to get a good idea of what the blockage is through the on-board camera and this will usually give you a clear vision of what the problem might be – and accordingly you will be able to use the right equipment to unblock it first time. This prevents trial and error methods from having to be undertaken which can really drag out this process. 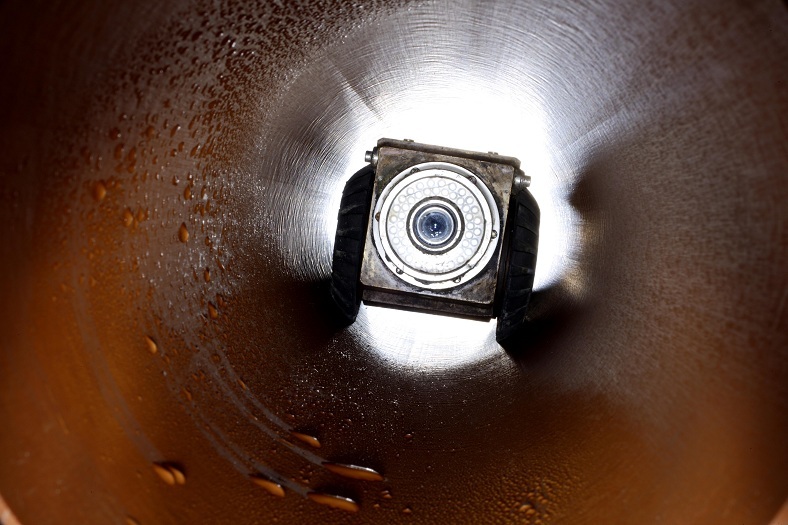 In all, a CCTV survey can go a long way to helping to simplify the drain unblocking procedure, and if you do find that you are constantly having to deal with problems of this type then it may be worth looking at the ways that a CCTV survey can help you out.